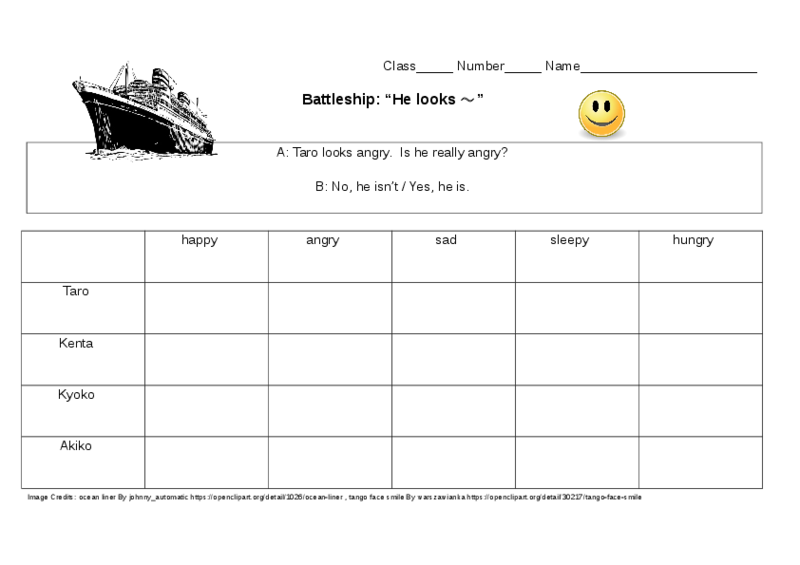 A battleship game for "looks + adj"
Play battleship using the dialog "_Taro_ looks _happy_. Is _he_ really _happy_?" "Yes, he is / No, he isn't"
I had the students draw 4 boats.